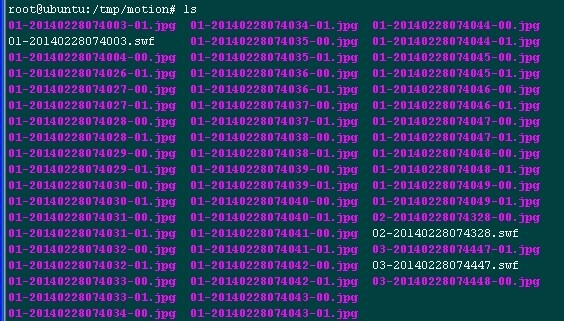 Motion is a software package used to detect moving objects. 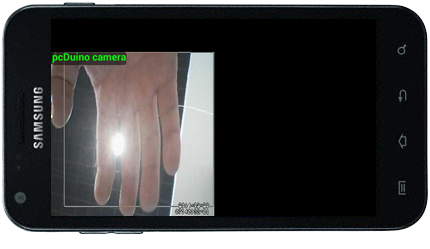 Only need one pcduino , one ordinary usb camera, you can monitor your own office and bedroom by pcduino. In ubuntu source has the corresponding software package. So the installation is simple. 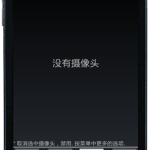 daemon off close daemon mode , if you open daemon mode , then motion would run directly in the background , if you do not manually kill off the process , then the motion would have been running in the background . videodevice /dev/video0 The video device to be used for capturing. Default for Linux is /dev/video0. for FreeBSD the default is /dev/bktr0. 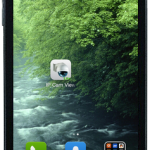 width 320 and height 240 is set to capture the image size, generally there is no demand , then do not exceed 640 × 320, so it is relatively easy to run the board . framerate 2 Maximum number of frames to be captured from the camera per second. minimum_frame_time 0 2 Minimum time in seconds between the capturing picture frames from the camera. 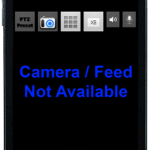 Default: 0 = disabled – the capture rate is given by the camera framerate. 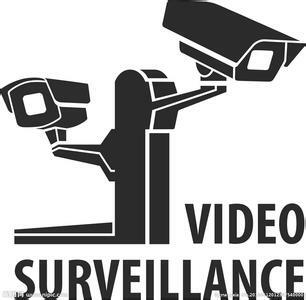 netcam_tolerant_check off Set less strict jpeg checks for network cameras with a poor/buggy firmware. ffmpeg_video_codec swf Codec to be used by ffmpeg for the video compression. Timelapse mpegs are always made in mpeg1 format independent from this option. locate Locate and draw a box around the moving object. Value ‘preview’ makes Motion only draw a box on a saved preview jpeg image and not on the saved mpeg movie. 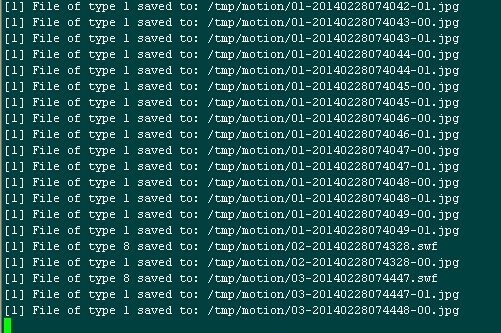 target_dir /tmp/motion Target directory for picture and movie files. webcam_motion off If set to ‘on’ Motion sends slows down the webcam stream to 1 picture per second when no motion is detected. 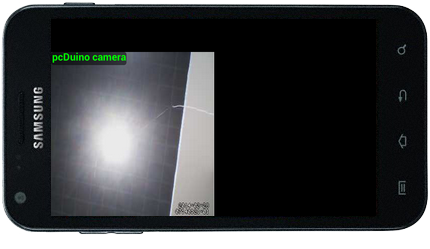 When motion is detected the stream runs as defined by webcam_maxrate. When ‘off’ the webcam stream always runs as defined by webcam_maxrate. webcam_localhost Limits the access to the webcam to the localhost. Open the browser, in the address bar enter * * *. * * *. * *. * * * (your pcDuino IP) : 8081, can be monitored.